VODA IS THE WORD FOR WATER, USED BY ALL SLAVIC COUNTRIES. INCUDING POLAND, UKRAINE, BIALIRUS AND RUSSIA. THE K WAS ADDED LATER. 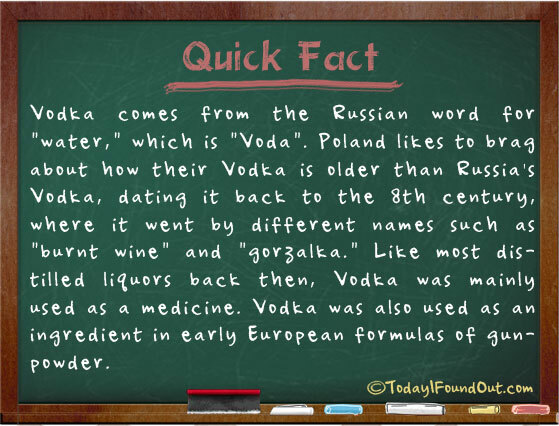 POLAND LIKELY WAS THE FIRST TO DISTIL IT. It is an error to attribute Voda as only a russian word. It is a slavic word! Unless this is russian disinformation!